The Faculty Review Committee has responsibility for the curricular development of the Service Learning Program (SL) and the Civic Responsibility and Social Innovation (CSI) Degree. This committee — composed of students, faculty, and administrators — ensures the right faculty are selected to become Service Learning faculty, oversees the workshops that prepare faculty to teach Service Learning, reviews SL and CSI courses, and works to spread understanding and awareness of the importance of these programs to a holistic, liberal arts education. 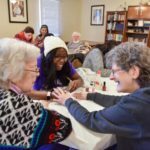 The Community Advisory Committee offers advise, counsel, recommendations, and assessments of the work HPU students and AmeriCorps VISTAs do in the Greater High Point area. 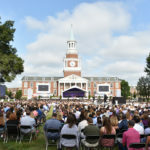 This Committee — composed of community leaders, neighborhood members, students, and non-profit executives — helps to ensure that the work HPU students do in the community is sustainable, effective, and in the true spirit of partnership.